This control is intended for selecting a Key Performance Indicator (KPI) for the cube. 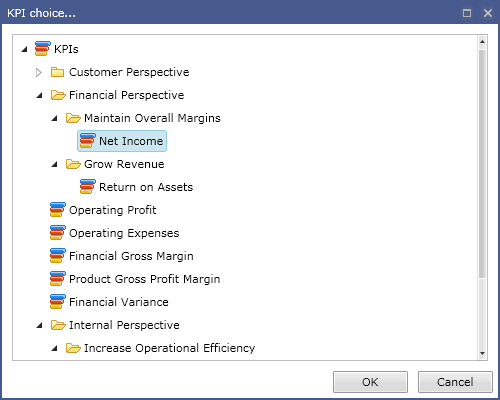 The cube KPIs are shown in the form of tree and can be grouped into folders. KPI selection is made by double click on the KPI node or by operating the [OK] button.